Geography: South East, Oxfordshire. Part of the Oxford council area. Profile: An urban seat containing the vast majority of Oxford itself. It covers the centre of Oxford and the majority of the Oxford Colleges - the two city centre wards Holywell and Carfax are overwhelmingly made up of students. To the east the suburb of Headington also contains Oxford Brookes University and the teaching hospitals. It would be wrong however to characterise this seat as only being made up of academic quadrangles, ivory towers and Guardian reading students though- most people here are not students. Away from the city centre there a mixed residential suburbs including the industrial Cowley, home to BMW`s Mini production, and the large council estate of Blackbird Leys, with an unfortunate reputation for unemployment, crime and joyriding. Politics: Oxford East was held by the Conservatives when first created in 1983, but by 2005 and 2010 had become a Labour v Lib Dem marginal. With the collapse of the Liberal Democrats the Conservatives retook second place, albeit a very distant one. ANDREW SMITH (Labour) Born 1952, Wokingham. Educated at Reading School and Oxford university. Former member relations officer for Oxford and Swindon Co-op. Oxford councillor 1976-1987. Contested Oxford East 1983. First elected as MP for Oxford East in 1987. Minister for Employment 1997-1999, Chief Secretary of the Treasury 1999-2002, Secretary of State for Work and Pensions 2002-2004. MELANIE MAGEE (Conservative) HR manager. Cherwell councillor since 2011. ANDREW SMITH (Labour) See above. ALASDAIR MURRAY (Liberal Democrat) Educated at Oxford University. Consultant and former journalist. MAD HATTER (Loony) , real name Alasdair de Voil. Tutor and events organiser. Regarding the discussion about Steve Norris and Andrew Smith. In fact, some years ago I heard Steve Norris describe Andrew Smith in very warm terms – no resentment at all at losing out to him. Norris, of course, went on to stand for London Mayor – twice losing to Ken Livingstone but doing quite creditably. Indeed. They actually come across as quite similar characters, intelligent and approachable. I always had a lot of time for Steve Norris (one of the Conservatives who was liberal on social issues before it was fashionable…see also Dame Angela Rumbold) and I think it a shame that he never made Mayor of London. How about a 15000 majority….another example whereby Labour stacked up votes in places where the didn’t need them. ”Developers/planners rarely needed to do this when they could achieve the same result in urban areas by segregating different classes on either side of railway tracks. Railway lines seldom have many crossing points so are ideal social barriers. Ever heard of the phrase “from the wrong side of the tracks”? This phenomenon is where it derives from, and is explained well by Christian Wolmar in one of his books. They’re are a fair few places that fit that description. Abbeywood – it’s all pretty much down at the heel apart from some of the Bexley parts are okay. South of the railway is fair bit less rough than North of the Railway which is the same side of the railway as Thamesmead. Morden – “The Sutton/Wimbledon Thameslink link loop divides the more upscale west of Morden (Morden Park and Lower Morden) and the council estate dominated east (St Helier and Ravensbury wards). I’ve got to know this seat quite well. It is a very safe Labour seat. There are some lovely areas in it. Iffley for example. Headington Hill. I was hopeful the Tories may manage a slightly better result – with the decline of the Lib Dems. They did. Labour up by about 8% – well above average, and not all that far below 1997. I know the Blackbird Leys Estate (and Northfield Brook which is part of it). Some of it is ok. There is a Night Bus Service in Oxford which is very handy. Oxford West and Abingdon is where the Tory effort is productive though. London Welsh are returning to Richmond . l worked in a by-election in Blackbird Leys a number of years ago. lt was not in the least scary & was a perfectly respectable & tidy council estate. Labour is even stronger in that part of Oxford (and most other parts of the city, really) than it was then. It’s not bad. People were quite friendly – I did help in a by election when visiting. Almost no votes for us although i think we got ahead of the libs. Interesting experiernce. An explanation is needed as to why Labour did so much better here last May than in most other seats. I can think of two possibilities. One is that they were helped by the very high student vote. The other is that the MP may be exceptionally harfd-working and attuned to keeping the grassroots onside. The lalrge number of industrial workers may also have helped Labour, but not enough to explain the swing. The converse is tqaht it is hard to get away from believing that the Tories did notably badly in this seat. Then some of the Labour/Conservative vote would have went to UKIP. What’s going to happen here? Andrew Smith is really popular with the CLP (despite his previous image as a Blairite thug). If he resigns, will there be a hard leftist on the ballor here? Could that cause some of the Blackbord Leys estate to switch to UKIP? by resigns, I meant step down ofc. Also there’s a by-election in Northfield Brook coming up, will it still be monolithically Labour? That is a very admirable achievement, congratulations. Ignore all the media carping about easy exams…still a phenomenal effort to get into Oxford. An unconditional offer, very impressive indeed. Welcome to the small, exclusive club of student UKPR regulars. I’m also in the student demographic, currently Birmingham as a postgrad, was at Cambridge for undergrad. Matt Wilson is a bit younger than me, so that makes four of us. I’m also still a (postgrad) student (and also a little surprised how common they are around here!). Well done Maxim, that’s a fab achievement to get an unconditional. You will be moving to a rather boring seat unfortunately – though one I guess you won’t actually vote in in a GE in barring something unexpected if you are there for three years. Congratulations, Oxford was certainly a very formative and exiting time for me, and I’m sure it will be for you. I take back my previous comment, it turns out upon investigation that Matt is in fact a few months older than me! Not sure why I’d got the reverse into my head, how confusing. We recently had some Ox W residents around for tea and they were clearly under the impression that Andrew Smith is an excellent constituency MP – will be interesting to see if Labour can keep this strong a hold on Ox E when he eventually goes, though one suspects that the Tories have a pretty low ceiling here and Lib Dem attempts at revival will largely see W&Ab as their target. I think the chances of the LDs recapturing their old student vote in the near future are very slim indeed. In my experience in HE over the past four years I think I’ve met maybe two LDs and I’ve not noticed any proper organisation on campuses at all. Post-2010 their ex-student demographic has probably broken up 1/2 to LAB, 1/4 to GRN and 1/4 to CON. Can’t see that changing much by 2020, except that the GRNs may go LAB with Corbyn. I expect tuition fees had some impact on the batch of students that voted in 2015. Whether it will in 2020 (by which time many students will have been in primary school when the fees went up) I don’t know. Actually my impression is that for all the loud protests in 2011 student opposition to the current arrangements isn’t all that strong. People don’t feel the effect of fees whilst they’re there, the repayment scheme is generous and once they get there most people appreciate that universities need the money to maintain the level of service they currently provide. But either way in 2005 and 2010 Labour – the natural party of the student vote since at least the ’60s – were the government to protest against (students quite like protesting), now they aren’t. Most student LDs were probably always more left-wing than the average LD voter and, particularly in 2005, Iraq was a big factor in their student support. By 2015 with the LDs in coalition and LAB pitching to the student vote more than in 2005 and 2010 it was probably inevitable that the LD student leftie vote would evaporate. Having conveniently forgotten which government introduced tuition fees? No it’s not something that will be toxic for long, especially now that with a left leaning Labour party, many will be looking for a centre left party. I don’t think tuition fee’s is the problem anymore amongst students. Our problem is people don’t have a reason to return to our party. Obviously I believe we have an identity but today if you ask the general person what we stand for they do not know. Similarly in 2010 we had the ‘student’ and ‘protest vote’ behind us, now no clear group in society identifies with us. We have no publicised distinct and clear policies which encourage people to vote for us and unfortunately we also have the tag of a pointless vote. Why vote for us if you believe we can never win? Tuition fees did ‘toxify’ the party and damaged our base, but the problem now today is more of an issue of a lack of identity and our tag as a pointless vote. Well, people do tend to conveniently forget things. That was all a long time ago for a student who, unless they’re a political obsessive like me, probably doesn’t have a political memory going back more than 5 years. You are absolutely right. 2025s student voters are today’s primary school students, and will not remember anything about tuition fees. It doesn’t mean that LDs will recover overall, just that tuition fees won’t be toxic for long. The collapse of the Lib Dems was never really the result of tuition fees anyway. The Lib Dems were already in single figures in the polls by the time they backed the measures. It’s pretty obvious, at least in hindsight, that once they went into coalition there was little they could do to avert an electoral massacre. I agree with James Rodriguez’s analysis that the Lib Dems don’t have a compelling reason to vote for them – which is odd as there has rarely if ever been a larger gap in the centre ground of British politics for them to fill. And Tim Farron isn’t the right man to move them to a place where they might reasonably fill that gap. In some ways he’s a Lib Dem Corbyn – a man of principles who is popular with the members but not somebody who seems particularly bothered by what the population at large think. Really they should be going on about how they are all the things Labour aren’t at the moment – economically competent, united, committed to Trident, serious about beating Daesh etc. – whilst being ‘fairer’ than the Tories rather than focusing on issues that will never win votes like refugees and trying to out-anti-austerity Corbyn. Jack: I don’t feel that’s quite true – Farron’s smart enough to recognise where the space for his party lies but the problem is it doesn’t always line up with his personal views, and he’s the sort of person who wears his heart on his sleeve; so he’s permanently conflicted between being true to himself and playing the political game. Also, the “compassionate and competent” pitch is not a wise idea; Nick Clegg tried that at the election just past and voters showed they would rather vote for one or the other rather than something representing the worst of both worlds. Farron has been at his most effective when highlighting important areas where Labour and the SNP are not applying that much scrutiny to the government, such as the snooper’s charter – as giving his party a USP is top of the agenda. Yes, there are limits to my analogy with Corbyn but I still think there is some truth in it. Neither are inclined towards the political game – in opinion polls the public say that’s what they want, in practice politicians who don’t play the game are further from the median voter than those that do. In truth the LDs were always going to be having a tough time now. I do think “compassionate and competent” (with emphasis on the latter) is more relevant now than it was at the election given what has happened to Labour though. A USP would be helpful if it was the right thing – I don’t think taking more refugees or opposing the so-called ‘snooper’s charter’ are things the type of voters LAB are likely to lose care about. What are the chances of UKIP making gains in Wood Farm, Blackbird Leys, Barton and the rest of the council estates? “In truths the LDs were always going to be having a tough time now”. True. Most of the research in this area shows junior coalition parties are likely to suffer a decline in support. Life tends to be particularly tough for centrist parties, as they tend to have a less committed core support. Put simply at the GE people who liked the government had every incentive to vote Tory, people who didn’t every incentive to vote Labour. That didn’t leave much room for the party who might partner either. 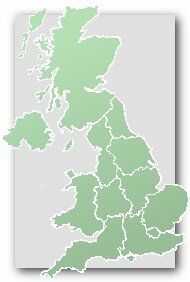 I think that the idea of Clegg having a proper cabinet post is an interesting one, though the problem with that would be that the LDs would then have been very weak at the centre and probably had less leverage in the areas where they didn’t have a cabinet minister and less control than they actually had over the overall direction of government. I do think they perhaps should have bargained harder on cabinet posts though – having Health, Work and Pensions or Education would have made it clearer to the public what the LDs were doing in govt. and made it easier for them to claim policies as their own. On the face of it, Oxford East has become so safely Labour as hardly to warrant psephological interest. However, it is now way out of line with any othre seat in the (gerrymandered) South East region, due to Andrew Smith;s ability combined with very assiduous working of this seat. At some point, probably not in 2020 if he can help it, Andrew Smith will in the neature of things have to retire. One wonders if Labour will then be able to maintain their position in Oxford East, particuarly given its large student population (and I am not forgetting the car workers who are also significant here). At some point in the future the Green’s 11% vote share could become very significant here. In the long-term perhaps, should LAB go back to having a relatively centrist leader and policy platform. For now I think the Greens will fall back in seats like this because a lot of their vote came from people who thought LAB weren’t left-wing enough and can’t make that complaint any more. If that’s right, then one would imagine that Caroline Lucas could perhaps be vulnerable in Brighton Pavilion, although I think on balance probably not. The advantages of incumbency and the mesmeric hold she seems to exert over the middle-aged trendies of Fiveways should see her hold that seat for as long as she wishes. Yes, I think your analysis is correct. @FredericStansfield. When you say the South East is gerrymandered do you mean the region as a whole or the parliamentary seats within the region? Most of the boundaries of the parliamentary constituencies in the South East are fairly sensible, granted there are a few odd ones but its no worse than the seats in other regions. However if you are referring to the region I agree the South East region seems rather arbitrarily drawn and its population is probably too large. There should probably be a complete rethink of all of the regional boundaries in my opinion. Pepperminttea. I mean that the whole region is gerrymandered, by both Labour and the Conservatives, and not least by self-serving Westminster senior civil servants. Nobody in their right minds would fairly create a region which is the size of two other regions, for example the North-East and Yorkshire, put together. This enables Westminster politicians to divert resource persistently from the South-East to other regions and, in particular, to Scotland. It also means that the Politicians prevent any emergence of regional cedntres in the South-East which would offset their huge overspending on London. To give a specific and very serious example, Westminster politicians have ever since 1948 refused to build a major teaching hospitl in Kent despite the large size of the county and the long distance between East Kent and London. Self-serving politicians and, again, perhaps in particular senior civil servants, want to stuff London with hospitals instead so that they have several on their doorstep. In relation to individual seats, the idea that individual seats are drawn up by an independent commission is a fiction, in which all the political parties connive when they try to make their partial suggestions for boundaries appear to be in the general local interest – it is a game. In fact, there may be less gerrymandering at constituency level in the South East compared to some other regions because a large majority of local authorities, and an even large majority of parliamentary seats, will be Conservative anyway. There is not too much pointi in fiddling seats which will vote Tory anyway. Just as in Scotland the SNP will have a landslide whatever the boundaires. If you look in detail at local level, there is a considerable amount of gerrymanering, and indeed always has been. For instance, in Thanet, there are two Conservatiive seats. Isle of Thanet North includes substantial parts of Canterbury’s area in addition to Margate., notably Herne Bay. Isle of Thanet South includes Sandwich etc. as well as Ramsgate. If there were one core seat for Thanet it would almost certainly vote Labour, or in 2015 possibly UKIP. Similarly, the boundaries proposed for Canterbury after 2010 were bizarre because Blean Ward, which is fairly central to the seat was excluded when the seat would actually have been nearer quota if Bleaan had been included and a Tankerton Ward moved into Herne. Blean at the time just happened to be the ward represented by the Tory leader of the Council, which incidentally excludedc the Labour candidates from the ballot paper at the 2011 council elections. The proposed Canterbury seat included Faversham, Whitsatbel and Canterbury at the three apexes of a triangle, which just about made the seat notionally Conservative. ; but it is getting harder and harder to make Canterbury Conservative in any normal year. I don’t have the detailed knowledge to comment on boundaries in other parts of the South-East such as Hampshire and Oxfordshire. However, to say in general that boundaires in any part of the country are fair and impartial is akin to believing in fairy stories. (and always has been). How’s the book coming along Harry? You said you were writing one on election boundaries a few years ago if I remember correctly. I’d love to buy it. This seat has the distinction of being the only truly safe Labour seat in the whole of the south of England (outside London, obviously). Slough and Luton South are also “truly safe Labour seats” these days even if Corbyn drags Labour down to 25% of the vote. Their strongly Asian demographics make the idea of a Tory gain pretty inconceivable under any circumstances IMO. I agree that Bristol South isn’t in the same category. I also suspect Exeter is pretty safe. at least while Ben Bradshaw is MP. He seems to have a sizeable personal vote, and the Labour-voting demographic in the seat – students & public-sector workers – is not the sort to be hugely put off by Jeremy Corbyn or particularly attracted to Theresa May. It appears that the seat is trending Labour, though more through demographic shifts in the Labour vote than demographic shifts in Exeter. As in Cambridge, the May 2016 local election results were very good for Labour in Exeter, with the party taking more seats then ever before, despite the poor showing in national polling – the party was generally about 3-4 points behind the Tories nationally at that time. My boyfriend went to Oxford Brookes, so I know this seat really well. Labour are really strong, which is really sad because my lovely liberal democrat friends here work really really hard with campaigning every weekend. When I was at Buckingham University, I used to come down here to campaign in the old Temple Cowley ward with the old councillors there. I can remember campaigning here back in 2010, when wee almost won. I hear that the Liberal Democrats have been really busy here recently, and are hoping for 25% in 2020. The tories are very weak here, with only a handful of activists. The Greens have reported Labour Cllr John Tanner who said the homeless in Oxford are “a disgrace” and he’d like to tell them so. The City & County Cllr and Member for ‘Clean and Green’ has no apologised for the comments.